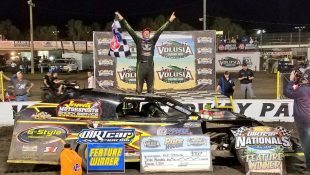 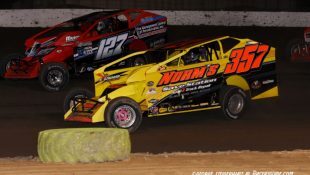 Short Track Super Series Enjoys Banner 2018 Season: Average Modified Car Count Of 43.7, Six First-Time Winners :Racers Guide – The Web's #1 Racers' Online Directory! 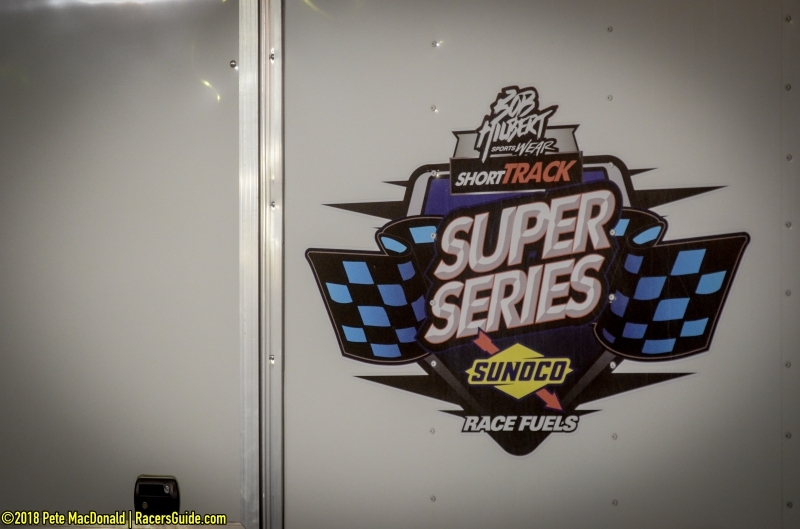 MILLSBORO, DE – By all accounts, the Bob Hilbert Sportswear Short Track Super Series (STSS) Fueled By Sunoco enjoyed a banner year in 2018. 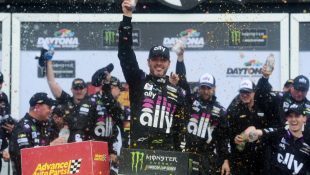 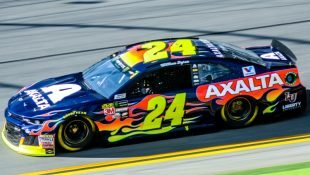 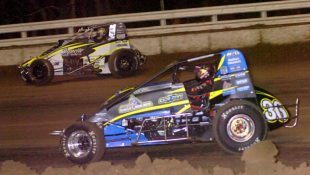 From March through October, the series provided fans with excitement across four states – New York, New Jersey, Pennsylvania and Delaware – while racers competed for the most lucrative monetary offerings since the series’ inception in 2014 as Sunoco Race Fuels and distributor Insinger Performance of Dushore, Pa., sweetened the pot. 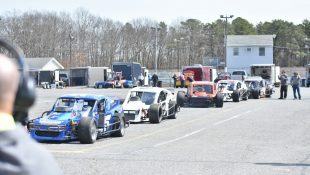 Once again, the STSS Modified tour was divided into manageable North and South Regions. 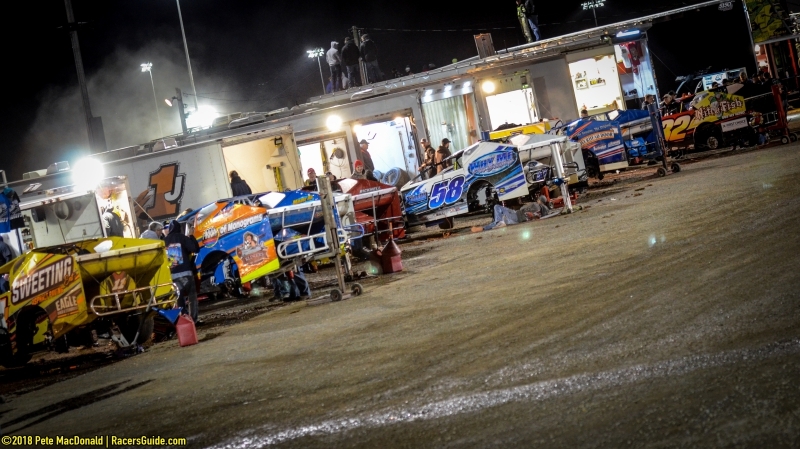 A total of 15 events were completed despite a summer filled with wet weather with a series-wide average of 43.7 Modifieds per event. 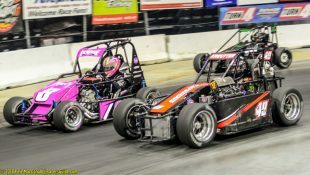 The Halmar International-sponsored North Region proved the depth of talent on the series, with five first-time series winners during the season. 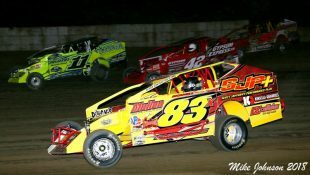 Jerry Higbie of Newburgh, N.Y., was the first to break through on Tuesday, July 3, when he drove the United Pump & Tank No. 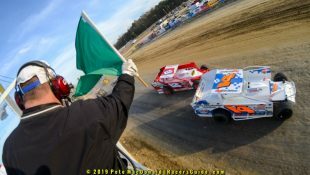 48 to Victory Lane at Accord (N.Y.) Speedway. 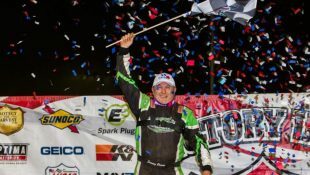 Jeremy Smith of Triangle, N.Y., topped the Afton (N.Y.) Motorsports Park ‘Afton Action 50’ on July 26. 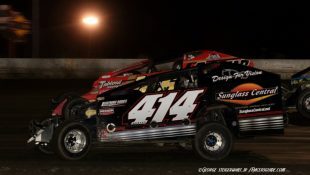 Westfield, Pa.’s Billy Van Pelt thrilled the home crowd at Woodhull (N.Y.) Raceway when he crossed the checkered first to take the ‘Hustlin’ the High Banks 54’ on Aug. 9. 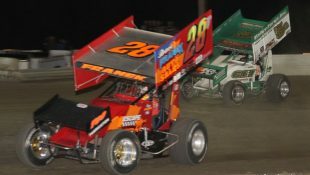 In perhaps the most exciting race finish all year, Marc Johnson of Guilderland, N.Y., emerged victorious from the ‘Stampede’ at Albany-Saratoga Speedway in Malta, N.Y., on Wednesday, Aug. 15. 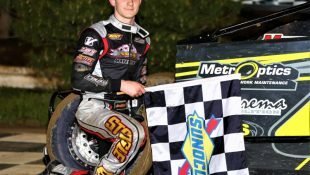 Mike Gular of Boyertown, Pa., broke through with a huge upset win worth $10,000 at Orange County Fair Speedway in Middletown, N.Y., to kick off Eastern States Weekend on Oct. 18. 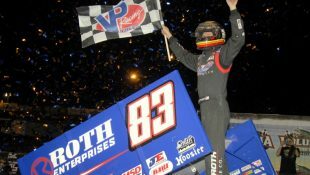 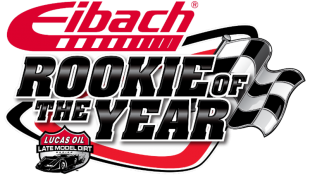 Other North Region winners were all-time leading series winner Stewart Friesen (Outlaw Speedway in Dundee, N.Y. on June 20 and Orange County May 8), Danny Creeden of Wurtsboro, N.Y., Sept. 23 at Thunder Mountain Speedway in Center Lisle, N.Y., and Andy Bachetti of Sheffield, Mass., at Thunder Mountain on Oct. 6 with a final-lap pass of Mat Williamson. 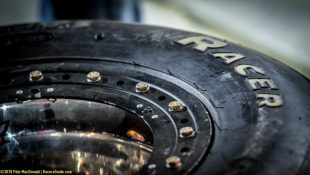 A new face has emerged as the North Region champion, as well. 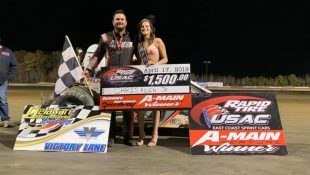 Sidney, N.Y.’s Billy Decker for the first time takes the title as Short Track Super Series champion of the Halmar International-backed North Region. 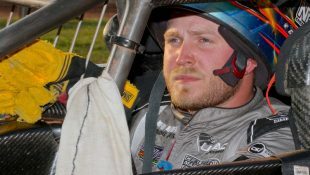 Decker will receive $12,500 for his efforts. 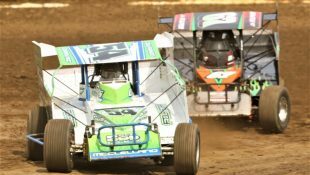 A record 14 drivers entered every STSS North Region event run this season. 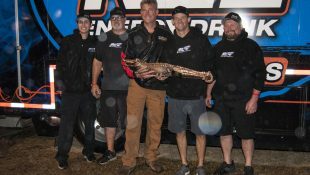 The Velocita-USA South Region saw one new winner. 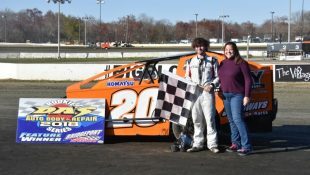 Jeff Strunk of Boyertown, Pa., took the checkered flag first on the all-new Bridgeport (N.J.) Speedway three-eighths-mile in April driving for Glenn Hyneman. 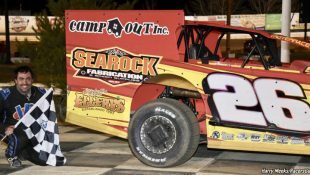 Ryan Watt of Boyertown, Pa., earned the series championship off the strength of two wins for the Ron Roberts team. 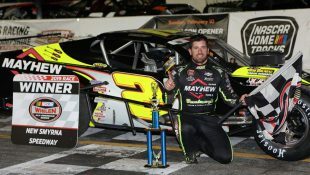 Watt took the opener at Georgetown (Del.) 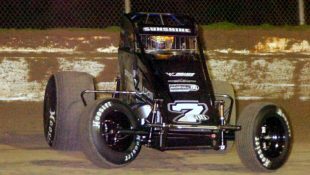 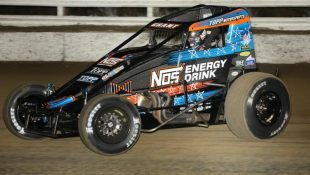 Speedway in March, then topped what ultimately became the finale in the series debut at Port Royal (Pa.) Speedway in October. 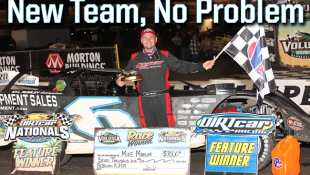 Watt is now a three-time STSS Velocita-USA South Region champion, for which he will collect $10,000. 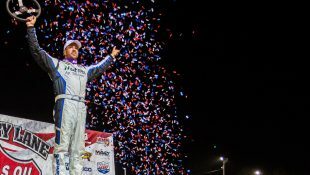 Watt has taken the title in 2015, ’17 and now ’18. 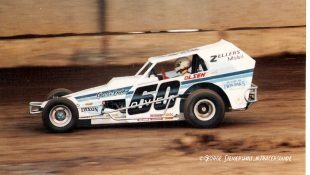 Like Watt, Matt Sheppard of Waterloo, N.Y., was a two-time winner for the Maryland-based Hurlock Auto & Speed team. 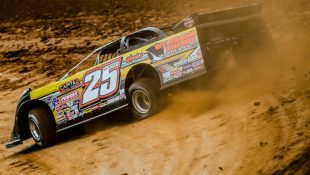 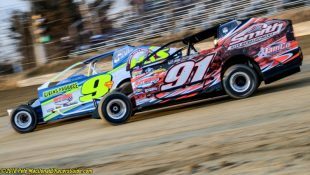 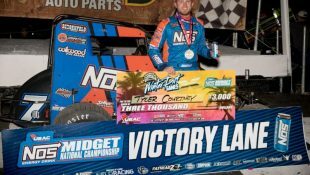 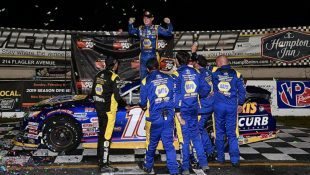 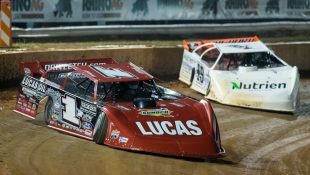 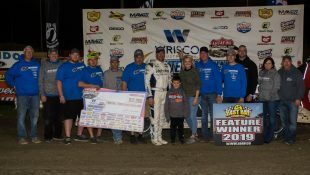 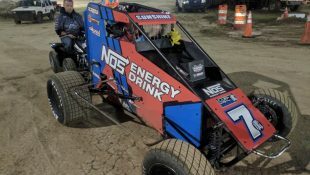 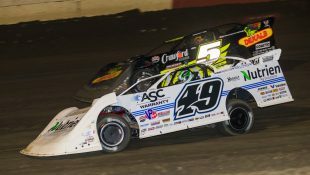 Sheppard’s two conquests came at Delaware International Speedway in Delmar, Del., on May 24 and BAPS Motor Speedway in Newberrytown, Pa., in late-July. 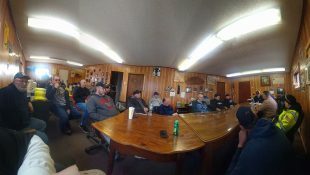 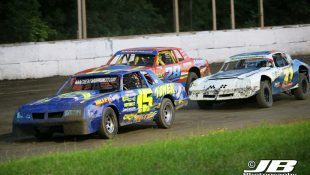 For the first time, national MAV-TV television cameras set up to record a Short Track Super Series event at Georgetown Speedway in late-August. 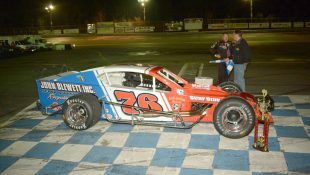 Anthony Perrego of Montgomery, N.Y., survived a last-lap, last-turn slide job from Craig Von Dohren to earn the victory. 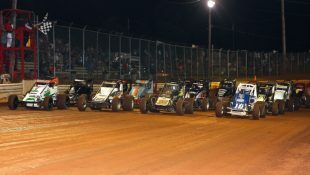 Big Diamond Speedway in Minersville, Pa., was slated to host the series’ only combined North-South race, but that program fell to rain not once, but twice. 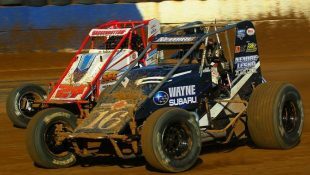 The South Region Mid-Atlantic Championship at Georgetown also succumbed to the weather after a coastal storm hit southern Delaware on the final weekend of October. 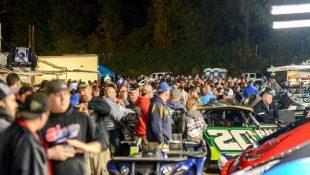 Fifteen drivers entered all ’18 STSS South Region races. 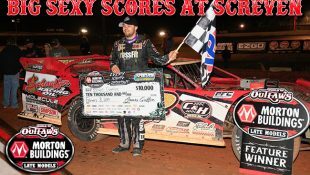 The STSS organized a three-pronged Sportsman effort in 2018. 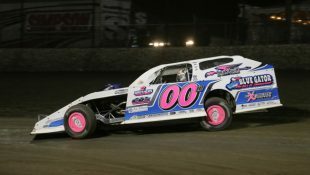 Crate 602 Sportsman were featured for the first time, running North and South Regions like their Modified counterparts. 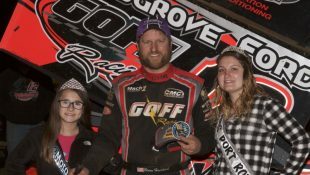 Corey Cormier of Otisville, N.Y., picked up the South Region Crate 602 Sportsman crown, with Tom Collins Jr. of Lansing, N.Y., topping the North Region. 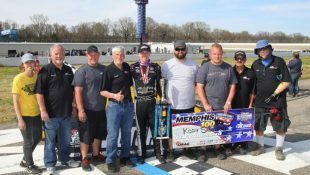 Both will receive $1,000 for their efforts. 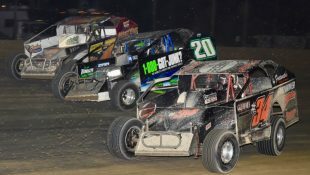 With the Northeast trending toward Crate 602 Sportsman racing entirely, the STSS Open Sportsman Series has concluded its final season. 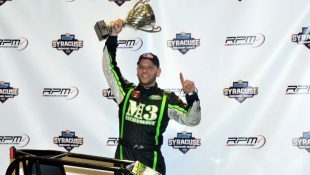 Dominic Roselli of Highland Lakes, N.Y., reigned supreme over that circuit. 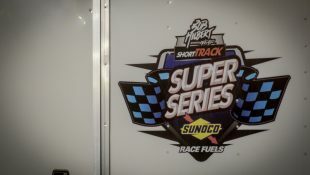 The 2018 Short Track Super Series season will reach its conclusion on Saturday, January 5, 2019 with the ‘Night of Champions’ Awards Banquet at Bear Creek Mountain Resort & Conference Center in Lehigh Valley, Pa. Banquet ticket order forms have been posted on the web at www.shorttracksuperseries.com.